Automotive industry, aerospace, shipbuilding, equipment engineering, general engineering, household appliances and technology, electrical and electronics industry, IT industry, telecommunications industry, packaging technology, consumer goods, toys, industrial, sports and leisure, bicycles, furniture, beauty consumer products, medical / optical / chemical industry, construction services, clocks and watches, jewelry, lighting, optics industry, green building, machine tools, etc. Mold manufacturers, technology providers, design engineers, process manufacturers, parts suppliers, tooling and prototype production. 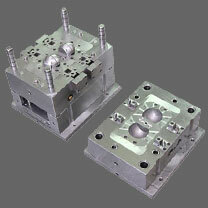 Precision molds, plastic molds, die casting molds, injection molds, precision machining tools, auxiliary materials, molding and prototyping, rapid production, progressive die, hot runner, mold production and processing consulting. Design, simulation, visualization, mold development and engineering technology, virtual reality, products, technology and testing, measuring instruments, CAD / CAM, rapid prototyping, 3D printing. Die-casting equipment, casting / casting raw materials, industrial automation, mold manufacturing technology, foundry equipment and industrial furnace technology. Metal cutting machine tools, metal forming machine tools, machine tools, honing, grinding, polishing and super finishing tools, other tools, metalworking facilities, metal timber.